Independent recordings are the backbone of the music industry. Regardless of whether the band is a major name releasing an album on its own, through an independent record label or a lesser-known band doing one or the other, those albums tend to have just as much substance as their more well-known counterparts, if not more. Keeping that in mind, independent albums (whether released independently or through indie labels) are just as important to the industry as major releases. That being the case, they deserve their own year-ender list annually just as much as their more commercially-known releases, so Phil’s Picks is giving those recordings their due credit and coverage. Presented here for your consideration is Phil’s Picks’ 2017 Top 10 New Independent Albums. The list features the year’s 10 best new independent recordings plus five honorable mention titles for a total of 15 titles, as in years past. Topping this year’s list of best new independent albums is the new release from underground rock band Young Fox. 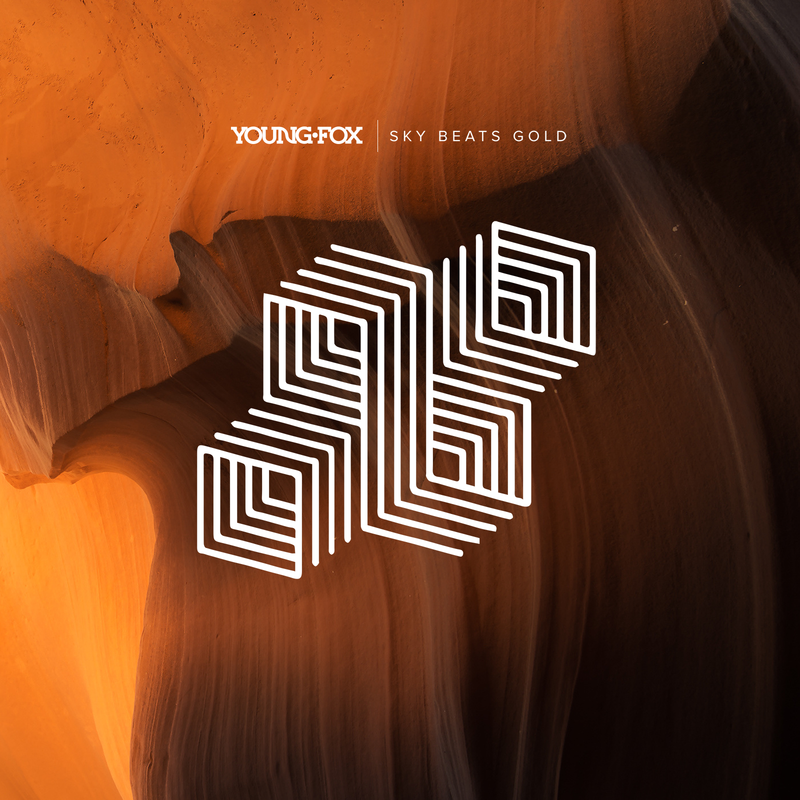 The band’s new album Sky Beats Gold proved this year to stand out brightly with its equally deep lyrical content and musical arrangements. The pairing of those two elements made this album from start to finish a surprisingly powerful effort from the Pittsburgh, PA-based band. Also included in this year’s list are new albums from the likes of Blacktop Mojo, Hell or Highwater, KXM and others. Again, many of these bands and albums are such that they are not as well-known as perhaps other bands. But their albums prove to be just as worthwhile as anything released by their more well-known counterparts. Without any further ado, here for your consideration is Phil’s Picks 2017 Top 10 New Independent Albums. That’s it for this year’s list of top new independent albums. It should be re-iterated that this was not an easy list to establish as there were so many quality independent albums this year. Lyrical content and musical arrangements alike had to be considered. There was no bad lyrical or musical content from any noted album. Every act on this list should be proud of its album as there is so much to appreciate in each. Next up from Phil’s Picks as the days tick to the year’s end is Phil’s Picks’ 2017 Top 10 New Country/Bluegrass/Folk/Americana albums. Since each genre shares so much similarity with the others, it is easiest to combine them into one category rather than try to spread them out. Stay tuned, and congratulations again to this year’s Top New Independent Albums winners. 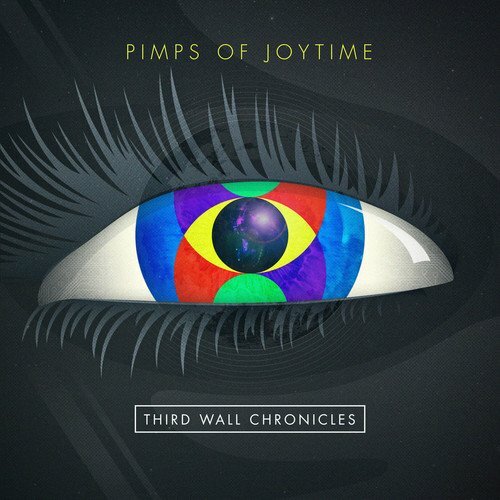 Late this past March, Brooklyn, NY-based funk outfit Pimps of Joytime released its latest full-length studio recording Third Wall Chronicles to the world. The group’s fourth full-length studio recording, this 10-song 38-minute record is itself a joy that will break more walls than build them. In a time when the world is suffering from so much strife and division, that is important to note. The mix of the album’s musical arrangements and its equally uplifting lyrics can so easily break down those walls and unite people, showing in whole that this is easily one of the year’s top new albums. Pimps of Joytime’s latest full-length studio recording Third Wall Chronicles is a powerful new effort from the group. That is proven throughout the album thanks to its music and lyrics that can so easily break down walls and unite listeners. The album’s upbeat opener ‘This Funk (Give Me A Hand)’ supports that statement right off the top. The song’s musical arrangement is an infectious, upbeat composition laden with horns, keyboards, drums, bass and vocals that instantly implant themselves in listeners’ minds in the best way possible. It instantly conjures thoughts of Parliament Funkadelic, Sly & The Family Stone, Kool & The Gang and so many others of that ilk. It’s just one part of what makes this song so powerful. Its fun, simple lyrical content does just as much to make it so powerful. Front man Brian J and company sing in the song’s lead verse, “Somebody give me a hand with this fun/I’ve been holding it all day long/Walking around with it/Trying to find the right party for this song/Just gotta get fired up.” The positive vibes keep flowing from here on through the rest of the song without letting up. When those positive vibes are coupled with the song’s equally positive musical vibes, the end result is a song that is not only proof of TWC’s impressive presentation, but a solid start for the record, too. It is just one of the songs that serves to show what makes TWC so enjoyable overall. ‘Little Bit of Something,’ which comes midway through the record’s run, serves as another example of what makes this album so enjoyable. ‘Little Bit of Something’ is one of TWC’s most notable songs due both to its musical arrangement and its lyrical content. Musically speaking, the song is a light, flowing composition that lends itself easily to comparisons to works from Jack Johnson, Bob Marley and other similar acts. That is evident in the song’s guitar line and horns, which form the song’s musical foundation. Drummer John Staten’s timekeeping strengthens that foundation even more with his work behind the kit. When all of this is joined with the rest of the song’s musical elements, the whole of those elements makes this work yet another composition that will put a smile on any listeners’ face. The song’s lyrical content, which is just as laid back as its musical arrangement is just as certain to keep those smiles beaming. Brian J sings here, “Before I let you slip away/There’s just oen more thing honey/That I’ve gotta say/I got a little bit of something/And a whole lot of nothing/A little of your love/Over whole lot of my suffering/So baby please/Can I get a bit of your tenderness/Baby that’s all I’m asking for.” He goes on to sing, “It’s all I’m asking for.” J goes on to sing in the song’s second verse of his feelings for the woman, trying to win her over. What’s really interesting here is that in listening through the song’s lyrical content, this song is one of those songs that is centered on a broken relationship, yet it isn’t one of those oh-woe-is-me works. It is a man pleading to that woman for her to come back, yet it is done in such a positive fashion. It’s something to which so many people can relate; that person trying to win the other person back with sensitivity and romance. When this is considered along with the song’s musical arrangement, it adds even more to the song’s interest and makes it that much more relatable and enjoyable. Keeping that in mind, the song in whole is just one more example of what makes TWC another enjoyable offering from Pimps of Joytime. ‘Mud’ shows just as much as ‘Little Bit of Something’ and ‘This Funk (Give Me A Hand) why TWC is such an enjoyable effort. ‘Mud’ is another example of what makes TWC stand out thanks to its musical and lyrical content, just as with the previously discussed songs. Musically speaking, this song is just as infectious as those songs (and the album’s other offerings) because of the manner in which it mixes the group’s trademark funk sound with more bluesy and gospel-based sounds. It stands out completely from the its counterparts, showing once more, the musical variety exhibited throughout the album’s 38-minute run time. Lyrically speaking, it is yet another simple work, too. Brian J sings in the song’s lead verse, “I’m doing alright/Despite the dark entities that are seeing me/Don’t need a doctor/Maybe a shaman…doing alright/Despite the static and degradation…I’m traveling through the muddy water/Muddy water.” What this seems to hint at is the song’s subject saying he is working through so much negativity and not getting up. The muddy water is a metaphor that is used along with the rest of the lyrics to present that seeming message. The argument for that seeming message is made even stronger as he sings in the song’s second verse, “I’m doing alright/Despite the pretty deep and shady tactics….I’m still doing my damn thing/Travelling through the muddy water.” If this is indeed the message that is being sent through the song, then it is a very positive one that, along with the song’s musical arrangement, is made even more positive and enjoyable to take in. It’s a message that so many people need today and every day reminding listeners that while there’s plenty of muddy water to trudge through, it can be done. Considering this, that positive musical and lyrical message shows clearly why this song is another important addition to TWC and most certainly not the last. The countdown is near, folks. And with the end of the year nearly here, the end of Phil’s Picks’ year-enders is officially here. We have finally come down to the last of this year’s “Best Of” lists. To close out this year’s group of year-enders we come full circle and finish where we started; back in the music world. To close out 2015, Phil’s Picks offers up its list of the year’s top new albums overall. This list was anything but easy to compile. That is because the top 10 albums and five honorable mention titles really represent so many galaxies within the musical universe. There’s some blues in this list courtesy of The Rev.Shawn Amos in this list. Salvador Santana, Carlos Santana’s son is also on this list, along with Pimps of Joytime and Fort Knox Five representing the rap and hip-hop galaxies. George Strait, The King of Country himself, is also here as are Willie Nelson and Merle Haggard. Even jazz great Terence Blanchard gets a nod as do Joe Satriani and electro-rock duo NYVES. There are others included here. And they are noted in the list below. Being that each album comes from a different part of the musical universe, figuring each album’s place in this list was what really made assembling this list so tough. The ability of listeners to take in the album without skipping tracks was taken into account as was each album’s production values and combined lyrical and musical content. That goes back to the albums’ ability to keep listeners fully engaged from start to finish. So no offense was meant to any act in its placement on this list. EVERY one of the albums included in this list was far more than deserving of being included in this list. That taken into consideration the following is the final list of this year’s top overall albums from Phil’s Picks. And as always, the top 10 albums make up the main body of the list while the bottom five each receive honorable mention. Without any further ado here for your reading pleasure dear readers, is the Phil’s Picks 2015 Top 10 New Albums. Happy New Year! Yesterday, Phil’s Picks kicked off the countdown to the year’s end with the first of its year-ender “Best Of” lists. The first of those lists was the list of the year’s best new EPs. Today, we move away from EPs to full-length records. In today’s list, Phil’s Picks presents its list of the year’s Best New Independent Albums. Just for clarification, Independent does not necessarily refer to albums released by unsigned acts. It also includes albums released by acts signed to independent labels as compared to the major labels (Capitol, Warner Brothers, etc.) This was anything but an easy list to compile. That is because there were so many deserving acts this year including the likes of the independent rock act Rubikon, Americana act Sugarcane Jane, and even legendary musician Carlos Santana’s son Salvador Santana just to name a few. Topping the list this year is Washington, D.C.-based electronic/hip-hop act Fort Knox Five with its new album Pressurize The Cabin. As with yesterday’s list, this list also features the top ten new titles as analyzed by Phil’s Picks. That list is followed by five other albums that receive honorable mention. Having said that why don’t we jump right in? In the second day of the Phil’s Picks year-ender countdown we have the year’s best new independent albums. Brooklyn, NY-based Pimps of Joytime has debuted the video for its latest single ‘The Jump’ on Wall Street Journal. The song is taken from the group’s latest full-length studio release Jukestone Paradise. The video for the celebratory song is the first in a series of videos planned for release. It was directed by Antonucci for BestCoastPro and was filmed in Telluride and Aspen, Colorado. It sees the group out in the wilds of Telluride and Aspen, singing and dancing along with the song. Audiences can check out the video for themselves online now via YouTube at https://www.youtube.com/watch?v=o34lLIQfX6Q. After checking out the new video, audiences can download Jukestone Paradise online via iTunes at https://itunes.apple.com/us/album/jukestone-paradise/id979690139. 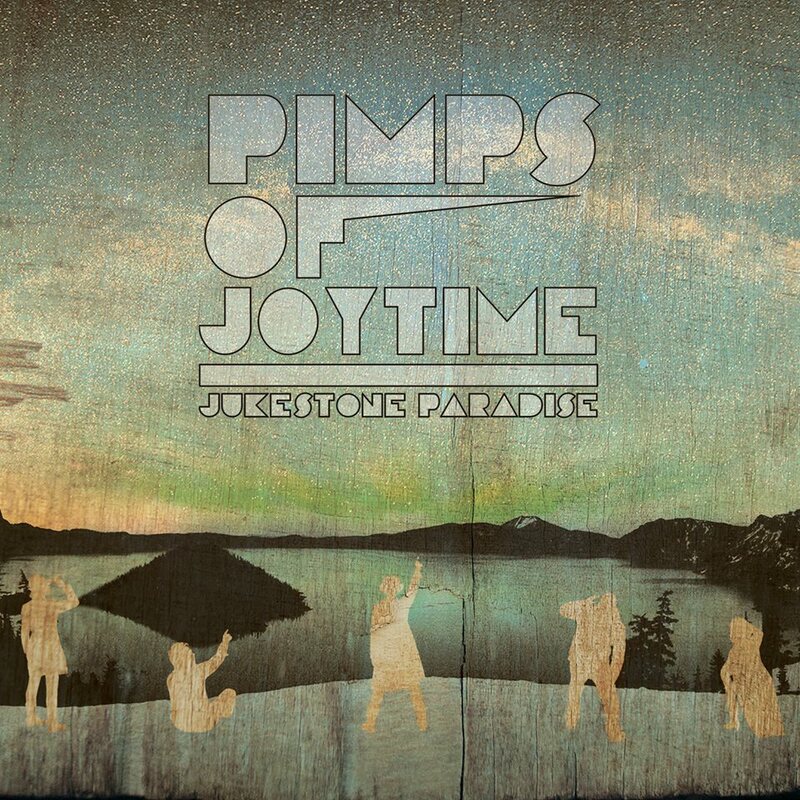 Jukestone Paradise, the latest full-length studio effort from Pimps of Joytime, is one of this year’s best new independent albums. In the case of this review, independent refers to the fact that the album, which is available now, has been released via an independent record label, Write Home Records. Having noted this, anyone that is a fan of Robert Randolph, Sly and the Family Stone and others of that ilk will especially enjoy this record. That is thanks in large part to the album’s mix of blues, funk, soul, and pop. Lyrically the album reaches into a number of different topics, which in its own right makes the album just as interesting a new release for the Brooklyn, New York-based act. One example of the its various musical and lyrical reaches comes in the old school funk-influenced ‘Body Party.’ This celebratory piece is laid back, musically speaking. Yet the coupling of its musical and lyrical side gives it a certain energy that is sure to get listeners on their feet, singing and dancing along whether at a party or at home. POJ (as it will henceforth be called) also touches on a more personal matter early on in the form of ‘Heart is Wild.’ Musically, this song also exhibits an obvious old-school influence that is just as certain to catch audiences’ ears. Lyrically, it comes across as a declaration of self-worth despite the view of others on a person. It is a declaration that comes across in a wholly positive fashion not just lyrically but musically, too. Such uplifting lyrics set alongside the song’s equally almost celebratory musical side makes this song one of the highest points of Jukestone Paradise. ‘Freedom Dancer,’ the album’s closer presents its own positive lyrical message and equally positive music that once again is certain to put just as much of a smile on listeners’ faces as they dance and sing along. It’s just one more example of why audiences will enjoy this record. It isn’t the last, either. The album’s obviously Robert Randolph-influenced opener ‘Red Golden,’ is another of the album’s high points as is the laid back groove of ‘Waiting for My Ride.’ Those familiar with their music history may even recognize the keyboard line that serves as the song’s foundation. It’s one more way in which this record proves to be a record that any listener will love and a record that is entirely deserving of a spot on any critic’s list of the year’s best new independent albums. POJ’s new album Jukestone Paradise boasts a total of ten tracks and tops off at no more than forty-five minutes. That really is not that long of a run time considering the album’s total makeup. Even at such a relatively average run time, it still offers so much enjoyment that at no one point does the album ever feel like it passes by too quickly or slowly. One of its best offerings comes in the form of its celebratory party-perfect song ‘Body Party.’ This piece is one that audiences will love whether at a party or pumping on the radio. Vocalist Mayteana Morales sings over he song’s funk-influenced musical side, “It don’t matter what shoes you wear/Long as you show up and you don’t care/I might have said care/But I meant don’t give a f***/Cause at the end of the night/Got a bunch of lugs who show up.” Lyrically and musically the song continues on in the same positive fashion straight through to the end. Its musical side grooves so solidly that it will instantly have any listener on his or her feet instantly. The song taken wholly into consideration, it shows to be one of the year’s top new party anthems. And given the proper support it will be one of the year’s top new party anthems playing at clubs and parties across the country. It is just one song from this album that proves the support that the album in whole deserves, too. ‘Heart is Wild,’ which comes earlier in the record, is another excellent example of what makes this album so enjoyable. ‘Heart Is Wild’ is another interesting part of the whole of Jukestone Paradise that makes this album such an enjoyable work. The song is a piece that comes across as a statement of self-worth so to speak. That interpretation comes across as lead vocalist Brian J sings over the song’s funky guitar line and equally grooving bongo line, “People say/That I need/To get my s*** together/They don’t know/They don’t understand/You can’t feel/What I do/Or who I am/My heart is wild/Well I don’t forget/I won’t forfeit/Got a fire burning inside/Haters hate and I keep creatin’/Don’t have to question why/I’m a laid back jack…Paid the cost to be my own boss/Ain’t nothin’ wrong with that y’all.” That’s a pretty clear statement. It leaves very little to the imagination in terms of interpretation. And that’s not a bad thing, either. Lyrically and musically, Brian J and company keep the positive vibes coming right to the end. Those positive vibes will inspire any listener and move them to dance and sing along again and again. Considering the general makeup of so many funk and R&B songs out there, it’s a fully welcome change of pace. And such a change of pace makes it all the more reason for audiences to hear not just this song but Jukestone Paradise in whole. Both ‘Heart is Wild’ and ‘Body Party’ are excellent examples of the joy that POJ offers listeners with its latest full-length studio effort. They are both but a tiny glimpse into what the group has to offer listeners on this its latest album. The album’s closer ‘Freedom Dancer’ is one more clear look at what makes Jukestone Paradise such a joy. At well over eight minutes in length, it is the longest of the album’s compositions. That doesn’t take anything away from the song, though. It will make listeners feel just as good as either of the album’s previously noted songs. That’s thanks to its musical mix of modern and old school influences and equally inspiring lyrics. The group sings together over the song’s old school funk sound, “Stepped outside/Of the way that I used to be/Stepped outside/Of the way that I used to see/Can’t stop the clock/When your heart is blocked/You gotta push on through/You know you gotta bring it on up on this/It’s the only thing left to do/Some people/Always trying to be putting you down/They ain’t gonna feel it/I ain’t gonna feel it/When the spirit gone’ come around/I’m a freedom dancer/I’m gonna dance awhile.” This lead verse along speaks volumes. The group is saying clearly to audiences that if you feel moved to dance, then dance. Don’t let anyone stop you whether they be dance critics, hipsters who think they’re too good for anyone, or any other type. When the spirit moves a person to dance, it does just that. No one can predict when it’s going to happen. The spirit obviously moved the band in the second half of this song (and will move listeners just as much). That’s because the entire second half of the eight-minute plus song is a full on instrumental jam that will move listeners to dance till they sweat. It’s just one more way that POJ proves how much the group has to offer audiences on this record. It most certainly isn’t the last, either. The album’s obviously Robert Randolph-influenced opener ‘Red Golden’ and the laid back groove of ‘Waiting For My Ride’ are two more examples of what makes this album so enjoyable. Whether for those two tracks, the other compositions noted here or those not noted Jukestone Paradise in whole proves itself to be an album that everybody will enjoy. It is an album that is more than deserving of a spot on any critic’s list of the year’s best new independent releases at the very least.